San Diego is such a beautiful city with so much to see and so much to do! 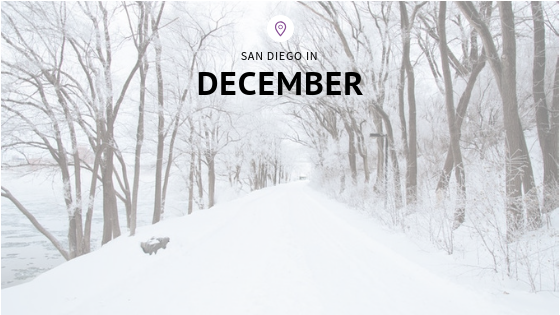 San Diego in December is no different for any other month, other than it is a bit chillier. You won’t find snow unless someone made is making it. Santa Claus is more likely to be wearing a Hawaiian shirt than his classic red outfit. Also, the beach is still totally open and many still frequent it. You can make this a special holiday season for an underprivileged boy or girl by donating a new, unwrapped toy. Location: You can drop toys at various locations around the county. Info: www.toysfortots.org. Location: Liberty Station NTC Park. Info: www.arthritis.org. Ring in 2019 at one of the hottest New Year’s Eve parties in the country! Location: Hilton San Diego Bayfront! Info: www.bignightsandiego.com. Starts on the corner of Harbor Drive and Ask St. and finishes near Ruocco Park. Athletes will run past 100,000 spectators. Runners, families, and spectators can watch the remainder of the parade that features colorful floats, bands, and huge inflatables. The sights and sounds of the communities come to life with holiday cheer this December. 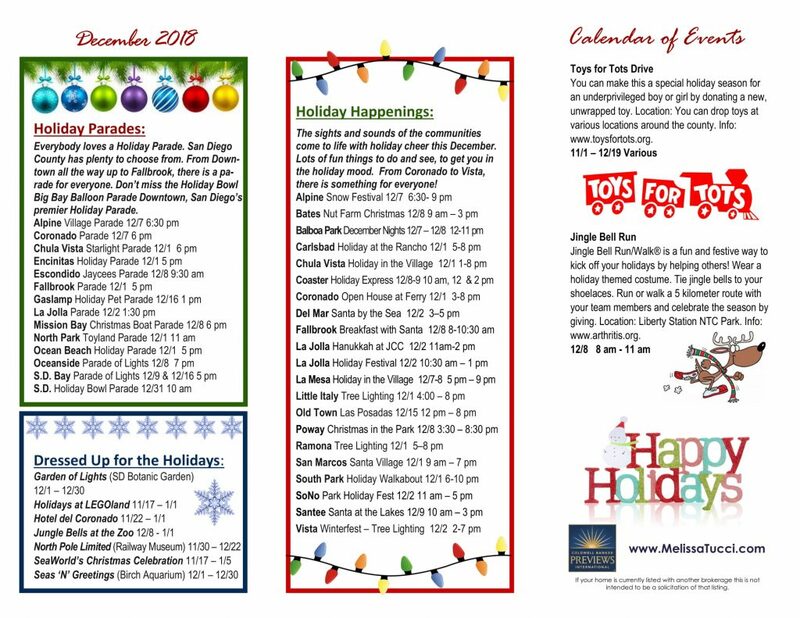 Lots of fun things to do and see, to get you in the holiday mood. From Coronado to Vista, there is something for everyone!